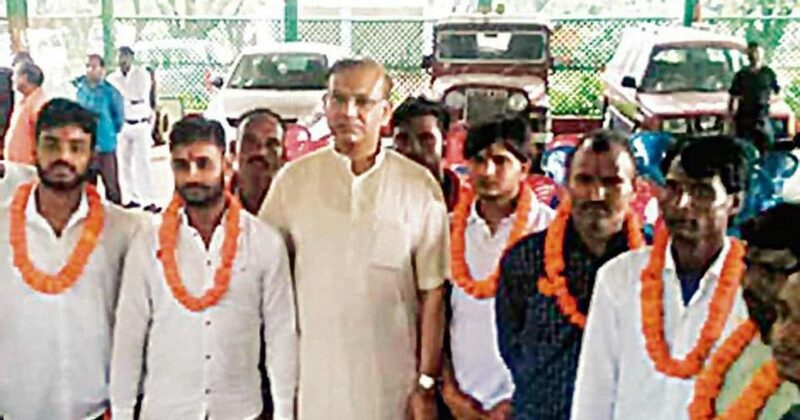 On 6 July, Union Minister of state for civil aviation, Jayant Sinha, felicitated life convicts after they were released on bail by the Jharkhand High Court. All the eight men were convicted in the lynching of Alimuddin Ansari of Ramgarh. According to media reports, these men were escorted from the jail to Jayant Sinha’s house by a local leader of the Bhartiya Janata Party (BJP). Further, Jayant Sinha also defended his action in a series of tweets. In March 2018, a fast track court convicted these men and three others for the murder of Ansari. The group of convicted men includes Nityanand Mahto, a local BJP leader, and members of a gau raksha samiti. Ansari was killed by a mob on 26 June 2017 on suspicions of carrying beef. His wife testified against the 11 men. Many of the accused were also caught beating Ansari in various videos of the assault. 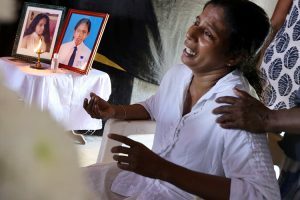 Despite incriminating evidence against the accused, the High Court’s decision to grant bail to them is deeply worrying. On the other hand, the act of the minister and the BJP is highly condemnable. It indicates a blatant approval of the lynching of a Muslim man in the name of ‘cow protection’ by the government and the BJP. It adds to the growing evidence of their communal attitude towards religious minorities, primarily Muslims and Christians. It also exposes the hollowness of the BJP government’s slogan of ‘sabka saath, sabka vikas’. Since 2014, there is a significant increase in the attacks against Muslims and Christians and other incidents of communal violence in Jharkhand. At least 11 persons –nine Muslims, including a 12-year old boy, and two adivasis – have been killed or brutally assaulted in the last two years, primarily in the name of cow protection (see annexure I for details of the killed persons). In most of the cases, the state machinery resisted to hold the guilty accountable. Lack of political will to check this attacks on minorities can be gauged from the shameless announcement by the Member of Parliament of the BJP, Nishikant Dubey, to provide monetary and legal support to the persons accused in the recent lynching of two Muslim men in Godda. The central and state governments and the BJP to unequivocally condemn the acts of Jayant Sinha, Nishikant Dubey and the local unit of the party. State government to ensure communal harmony and equality and justice for minorities. State government to ensure criminal action in all the cases of lynching and mob violence.